The announcement that 80 London council estates are scheduled for full or partial demolition is extremely worrying. As the BBC documentary "Inside Out" (4th September) shows, this will make the housing crisis worse. Private developers will make fortunes, while communities will be destroyed. 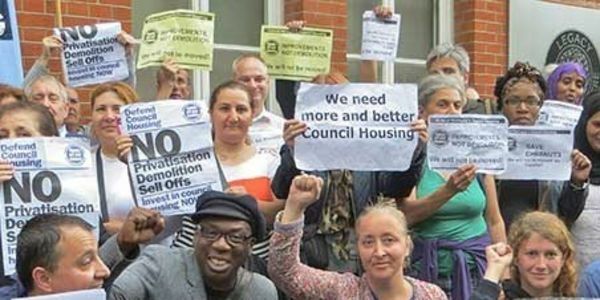 As George the Poet said at the end of the programme "We have to fight for council housing". The Housing Minister and Mayor of London ensure there's a binding ballot of tenants on ALL estates threatened with demolition, with no exceptions. The Prime Minister urgently reforms housing finance to enable councils to invest in existing and new council homes and fully funds urgent safety works.